Martino Marcelino, 87, passed away on July 4, 2014. He was born January 8, 1927 in Burlington, VT to Martino and Margaurite (Stannard) Marcelino. He proudly served his country in the US Army during WWII, enlisting at 17. Martino married his devoted wife of 65 years, Doris Proulx, on November 10, 1948 at Holy Cross Catholic Church. He graduated with an Associates Degree from Burlington Business College,now known as Champlain College. He worked at Vermont Structural Steel as a supervisor of bridge construction for 28 years. After retiring, Martino then became Vice-President of A Marcelino Company and Marcelino Machinery and Asphalt,which he enjoyed working at with his son. He was predeceased by his parents, brother Phillip Sr, and sister Arthea Robare. 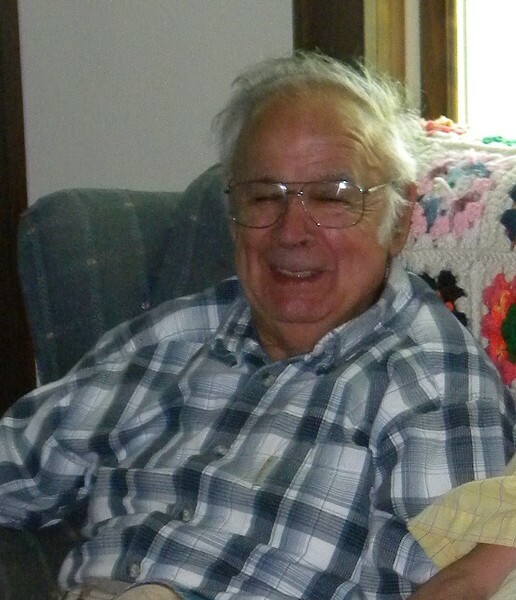 To his family and friends,he was known as "Tina","Marty",and "Grandpa".He enjoyed camping with his wife and family in their motor home,having many fond adventures in their travels. Martino loved his winter home in Fort Myers Florida,as well as bowling, golf, fishing, hunting,traveling,family gatherings,playing cards with friends and family, and "tinkering" at his workbench. He was a member of the ELKS, RVA Winooski, the American Legion, and was a graduate of the Dale Carnegie Course on public speaking. He was a devout Catholic and attended mass reguarly. A beloved and devoted husband and father, left to cherish his memory are his wife Doris, sons Alan and wife Linda,Brian and Kelly of Colchester,his grandchildren; Erica and husband Trevor Howard, Dana and wife Hilary, Erin, Derek, and Jamie, 5 great grandchildren,his brother Ernest Sr.and wife Pauline,brother Jed, many nieces, nephews, extended family, countless friends, and his beloved dog "Chewee". The Marcelino family would also like to express our deepest thanks to the wonderful doctors,nurses,and caregivers of Fletcher Allen Health Care,the VNA,and Starr Farm Nursing and Rehabilitation for their care and support during this difficult time. Visitation will be Wednesday July 9, 2014 from 5:00PM to 8:00PM at LaVigne Funeral Home and Cremation Service, 132 Main St Winooski, VT. A Mass of Christian Burial will be held Thursday July 10, 2014 at 11:00am at Holy Cross Church 416 Church Rd, Colchester, VT. If desired,in lieu of flowers,donations can be made in Martino's honor to the American Heart Association or the MS Society of VT. Online condolences may be shared with the family at lavignefuneralhome.com.